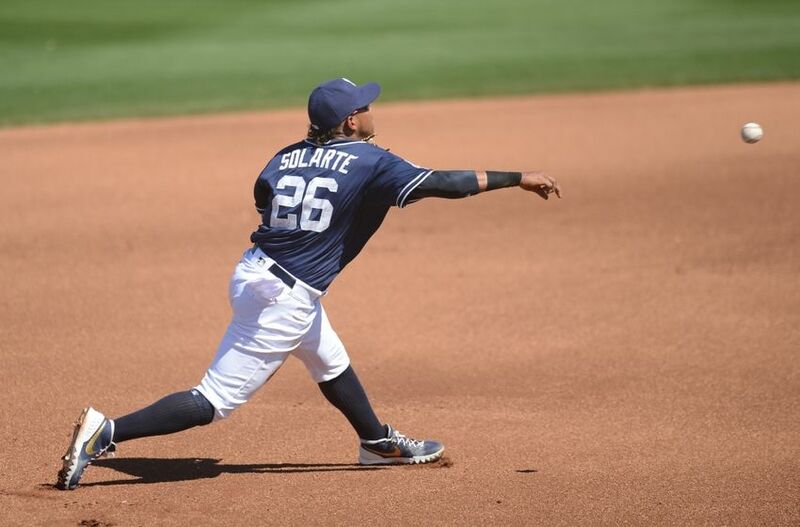 Solarte is a fan favorite in San Diego. What is there not to love? He hustles, is a family man, loves the fans, and plays the game with the love of a child. Solarte quietly put together a solid campaign in 2017, as he had done in 2015 and 2016. Since coming to the Padres in 2014 from the Yankees in the Chase Headley deal, Solarte has hit .270 with 51 home runs and 215 RBI over 3+ seasons. His numbers look very similar each season since becoming a regular bat in the Padres’ lineup in 2015. If those numbers don’t scream consistency, I don’t know what does. Solarte’s walk and strikeout rates are even almost identical. Solarte hits typically for good average, while making solid contact in his approach. His value doesn’t just come from his production on the field, but his charismatic lively personality in the clubhouse. Solarte posted a 1.3 WAR for the Friars in 2017. He appeared all around the diamond playing first base, second, shortstop, and third. He posted a zone total rating of 2 at third base, while posting a zone total rating of -1 at second base. He logged a lot more innings at second base with 628.2 compared to 156.2 at third. 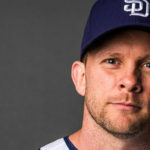 Looking ahead at 2018, Andy Green would feel comfortable with him at either position. 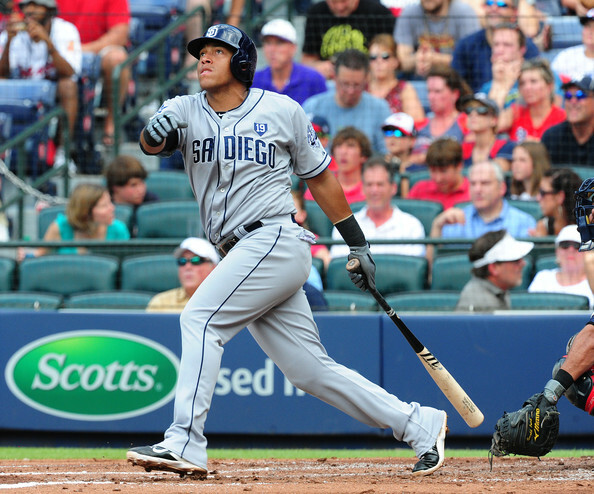 Solarte has a lot of value as a versatile player because he is a switch hitter and can play multiple positions. Asuaje definitely impressed during his limited time in the big leagues in 2017. The rookie slashed .270/.334/.362 across 307 at-bats. Asuaje received immense praise for his tendency to work counts and keep at-bats alive. Many times in 2017, we saw Asuaje battle with pitchers fouling off pitch after pitch. He has a good feel for the strike zone and didn’t seemed overpowered by many pitchers. He didn’t seem like a rookie in the batter’s box either. He also played a solid second base defensively. Asuaje posted a 0.4 WAR over 89 games. He settled in as the everyday second baseman the last two months of the season. His numbers won’t blow you away, but his value lies within his ability to put together a quality at-bat. 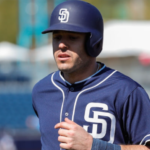 It seems as though Asuaje won’t put up numbers that would portray him to be an everyday regular for seasons to come. He is a big league player, but it is just unclear whether he is better suited for a bench/utility role. The 26-year-old was acquired in the Craig Kimbrel trade from the Red Sox. 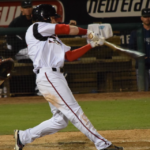 Asuaje ranked as a top 30 prospect in the Friars’ farm system until he broke his eligibility in 2017. Of the three, I feel as though he is the least likely to be traded in the offseason. The Padres acquired him for a reason in the Kimbrel deal, and Asuaje hasn’t built much trade value in the big leagues yet. However, Carlos has the ability to hit for a very high average, much like he did in Triple-A in 2016, hitting .321. Although his average in the minors in 2017 was only .250, he still reached base at a .369 clip with more walks than strikeouts. 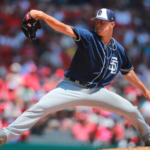 If none of the three are traded, I believe the Padres plan to go into spring training with no clue who the “regular” starter is at each position, although the Padres will plan on all three of them playing significant time. 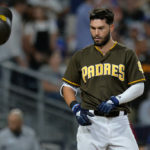 If one is traded and then another has an injury, it leaves a gaping hole in the Padres’ starting lineup. With all three of them in the picture, it allows for versatility and stability. Another name to consider in the race is third baseman Christian Villanueva, who impressed during his September call-up at the end of last season. Villanueva hit four home runs, while hitting for a .344 batting average over just 32 at-bats. Although that is a small sample size, it might have assured Villanueva at least a chance to earn a roster spot or even a starting gig during spring training. 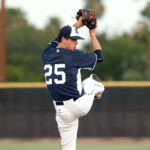 I believe during spring training, the Padres will gain a better idea of who will be the starters at each position. Their performance during spring training will have a big impact on the Padres’ plans. Regardless, I see a combination of the three being rotated in starting lineups based off of a number of factors such as who’s slumping and who’s hot, matchups, and rest days. The most likely scenario would be Solarte at second and Spangenberg at third, with Asuaje only trailing slightly in at-bats for the season. 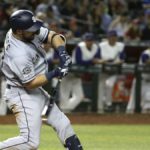 Solarte will likely play both second and third a good amount in 2018, while Spangeberg will ideally focus at just third, and Asuaje just at second. I’d guess its a 50/50 chance one of the three (Asuaje-Spangenberg-Solarte) get traded during the offseason. It hurts me to say this, but of the three it is most likely Solarte would be traded because of his established value in the majors and he has the most pop offensively. Spangenberg and Asuaje are still arbitration-eligible, while Solarte is signed through 2018 with inexpensive team options for 2019-20. 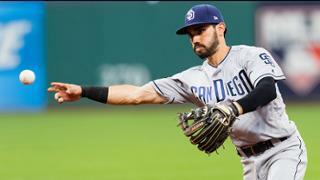 Regardless of what does happen, the Padres will have plenty of options in the infield (except for shortstop) come spring training. The position battle will be an entertaining and competitive one to follow in the spring.